Are you getting tired of having to navigate to your favorite website every time you go online? There is an easy solution - simply change your browser's homepage. 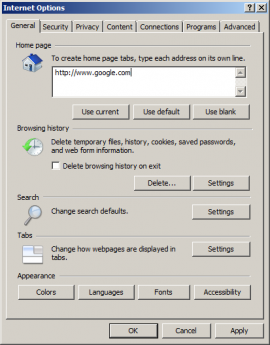 If you are using any one of the four major browsers, this is very easy to do. It can be done in just a few simple steps. In the examples below, Google and Yahoo are used for illustration purposes but you can follow the same steps to reset your browser's homepage to any website you choose. Although version 11 has recently been released, if you use Internet Explorer (IE) as your browser, odds are pretty good you are using version 8. The three most popular versions in order are 8, 10 and 9. If you are unsure which version of Internet Explorer you are currently using, from the browser click Help, and then select About Internet Explorer (at the bottom of the list). Although Internet Explorer maintains a stronghold as the most popular browser, second on the list fluctuates between Firefox and Chrome. Setting the homepage in Firefox is the easiest of all the four major browsers. 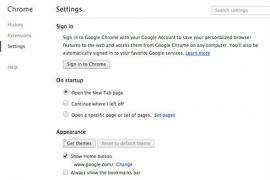 Even though Chrome doesn't include the Home icon as a default setting, once you go to the browser settings tab to place it on your browser, you can adjust most features you want from there - like set the default search engine or default browser. 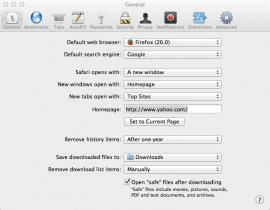 Although fourth in popularity, Safari, created by Apple, is the browser of choice for its users. 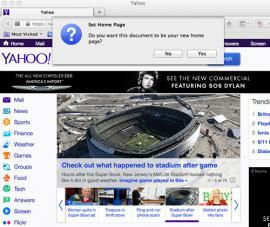 Apple did release a version of the browser for Windows, but discontinued the product in 2012. If you've ever noticed your browser homepage changing for what seems like no reason, chances are this occurred as a result of installing a program on your machine. 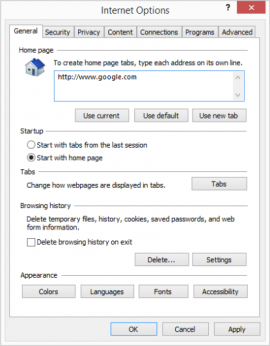 Although, a program shouldn't change your browser's homepage without asking permission - it's easy to click 'yes' during installation without realizing that doing so will change the homepage. This is because the question is often hidden among other questions and the option is usually pre-selected. When installing a program, just remember to uncheck any box that is pre-checked to prevent unwanted homepage changes. If you do experience the problem, use the instructions provided here to change it back to what you prefer.